Varenicline is an α4β2 nicotinic acetylcholine receptor partial agonist that has been found to be effective for treating tobacco dependence. However, the subjective and behavioral mediators of its efficacy are not known. Using multiple sessions of laboratory-based assessment, this double-blind, placebo-controlled experiment was designed to test if varenicline reduced both tonic and cue-provoked tobacco cravings, and if it attenuated perceived reward from smoking. Participants in the present analysis include 100 smokers who were scheduled for three assessment sessions: at baseline, before receiving medication; at mid-run-in, 5–7 days after beginning medication; and after full dosage was reached, 12–15 days. Following overnight abstinence, each session included assessment of tonic craving, reactivity (including craving) to smoking cues, expected value of a cigarette, smoking behavior, and self-reported reward following smoking. Varenicline, compared to placebo, reduced tonic craving, cue-provoked craving by the final assessment, the expected value of cigarettes, number of puffs and time spent smoking, and self-reported reward (i.e., satisfaction) from smoking. Results showing that varenicline reduced tonic craving levels and perceived reward from smoking are consistent with reports from clinical trials, strengthening the evidence in support of these subjective mechanisms of action. 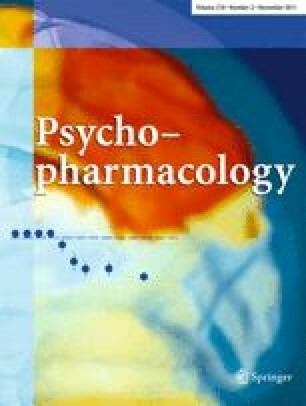 This is the first placebo-controlled study to demonstrate that varenicline reduced cue-provoked cravings, thereby offering another potential mediator of its therapeutic effects. Findings may aid in the development of more targeted interventions for tobacco dependence. This study was funded by Pfizer, Inc. via Investigator Initiated Research Grant #GA3051LP. The authors thank Kristen M. Sismilich, Monica S. Carrington, and Brittany Weisenthal for their work on the project. Dr. Brandon has served on the Varenicline Advisory Board for Pfizer and consulted on the development of the online behavioral adjuvant for varenicline users.